For anyone unfamiliar with the site always check the FRESHWATER, SALTWATER and TACK-TICS pages. The Saltwater page now extends back as a record of over several years of (mostly) sea fishing and may be a useful guide as to when to fish. The Freshwater stuff is also up to date now. I keep adding to both. These pages are effectively my diary and the latest will usually be about fishing in the previous day or two. As you see I also add the odd piece from my friends and correspondents if I've not been doing much. The Tactics pages which are chiefly 'how I do it' plus a bit of science are also updated regularly and (I think) worth a read (the earlier ones are mostly tackle and 'how to do it' stuff). We're just back from our winter holiday in Brazil. Of course the main objective of the trip was to visit our son Richard, Daughter in law Ana and their two wonderful little daughters. However, it wouldn't be a holiday for me if I didn't go fishing and since Richard is as keen as I am we went whenever the chance arose. This generally meant an hour at the crack of dawn (about 4a.m.} before the rest of the household was awake. Just to set the scene, on past visits Richard was living very close to the beach and I was able to fish whenever I wanted but the results were - mixed! In other words we rarely caught anything of any size from the local shores and so the objective this time was to "Do better!" This was made a little more difficult by the fact that they've moved house recently and this meant a drive to get to the coast. 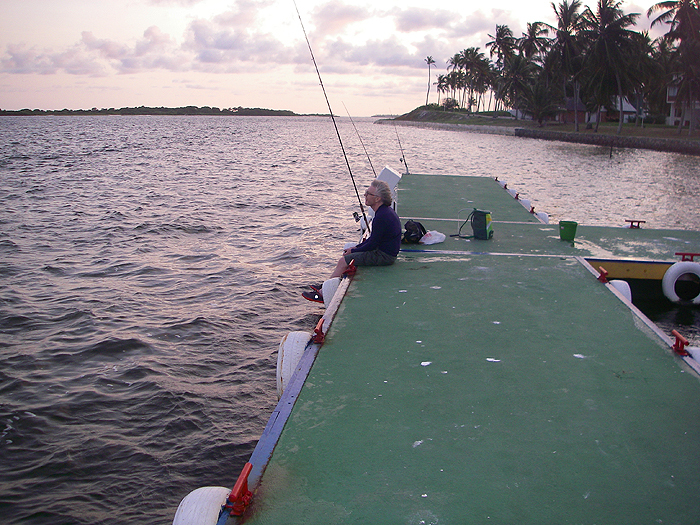 Twice during our month long visit we were able to spend a couple of hours fishing in a large estuary when we visited Paulo, a pal of Richards, and his family. 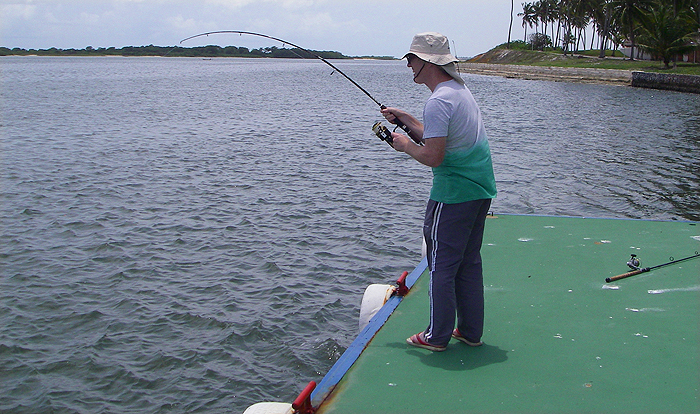 Paulo was also new to the area and was keen to try out the fishing. He used his cast net to provide us with 'sardines' for livebaits. The standard local tactic was to leger a livebait from a local pontoon and since we had nothing to go on we did more or less the same. To be honest the livebaits were superb and it is likely that, given time, they would produce some really good fish but considering our restricted fishing time the results were satisfactory. 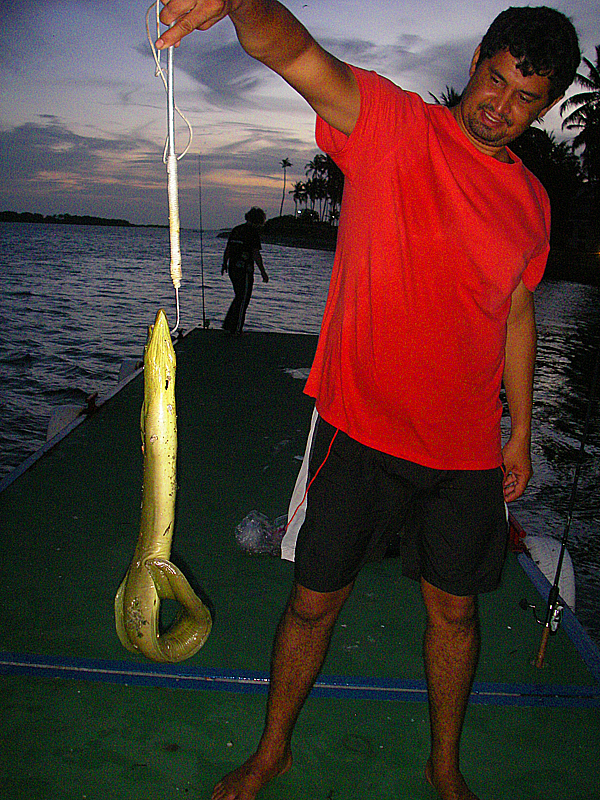 One of the first catches was a silver catfish to Paulo's rod so at least that got the ball rolling. A little later Richard had a decent bite which turned out to be a stingray which pulled hard on his spinning gear in the strong ebb current and provided a bit of encouragement. 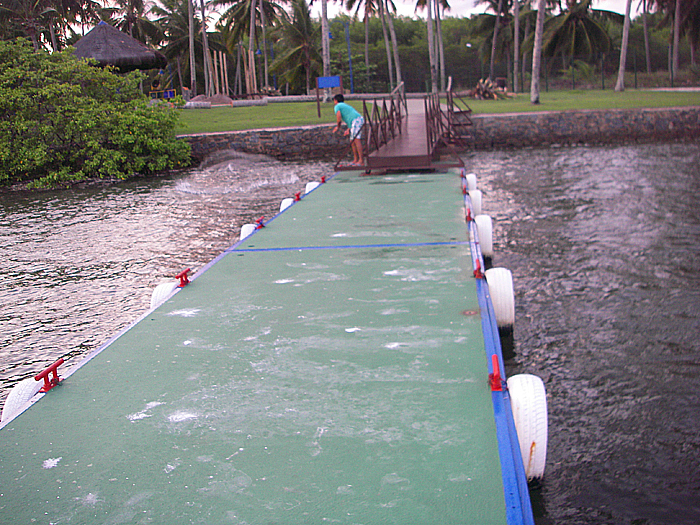 Unlike the others, in my usual contrary fashion, I'd decided to dangle my live sardine close to the pontoon and for some time I went without a bite. As it began to get dark my spirits were raised when I suddenly found myself playing a lively ladyfish. Phew! At least I'd caught something. 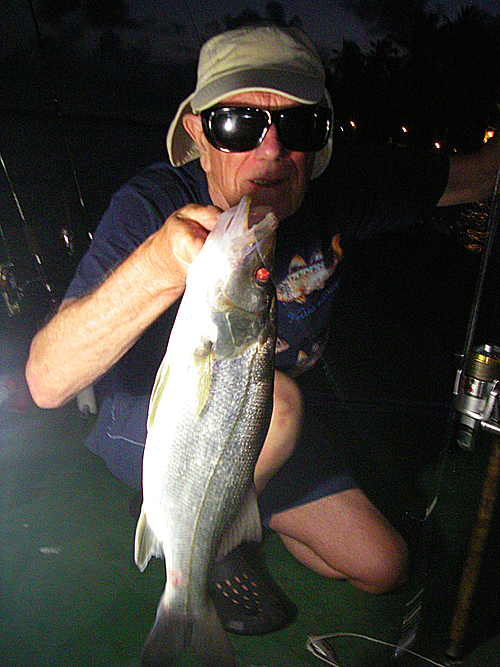 I continued to work my livebait along the edge of the pontoon in the dark and it wasn't long before I hooked a much better fish which turned out to be a nice 'fat snook' (a smaller species than the common snook). I was chuffed that my tactics had paid off. On our second and final trip to Paulo's pontoon we fished in the same fashion as before but there were less fish about and although we had quite a variety of small stuff on both livebait and prawn (including, catfish, snook, puffers, snapper, jacks, a number of unidentifiable silver jobs and even a seahorse in the livebait net) the only sizeable fish again fell to the live sardine dangled from my spinning rod and proved to be a fair sized moray which caused no end of excitement (no one wanted to go near it and risk a bite). Anyway, that was the only evening fishing we managed in the entire trip. I'm sure that Rich and Paulo will be giving it another go and I fully expect to hear of them catching big jacks,snook, catfish and stingrays in the near future. The cream of the fishing turned out to be the morninng sessions from the open shore and I'll write about that next time. This is my advert for the book I wrote with Steve Pitts - just in case. Even if you don’t buy “The Second Wave” yourself – please tell your facebook, twitter, email, friends about its existence. As I’ve said IT'S AVAILABLE ON PAPER OR FOR YOUR KINDLE FROM - "Veals Mail Order" and from Amazon "Amazon"
Paulo casts his net to provide us with bait. Perfect bait. These little sardines are as tough as old boots. Richard attends to the leger gear - easy fishing. 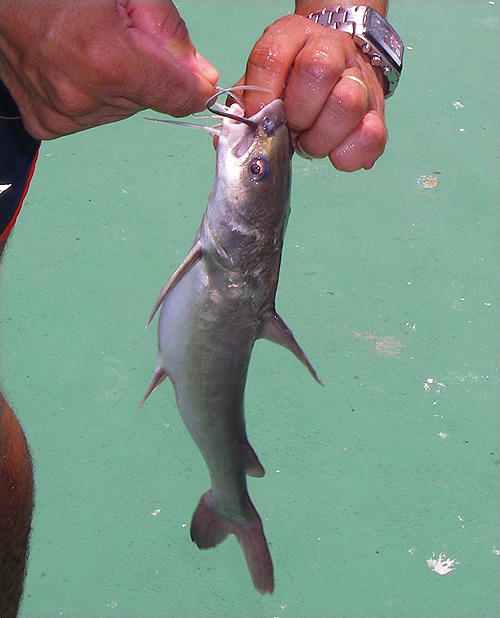 A small catfish for Paulo, on the livebait gear. He's in! Richard plays a better fish. 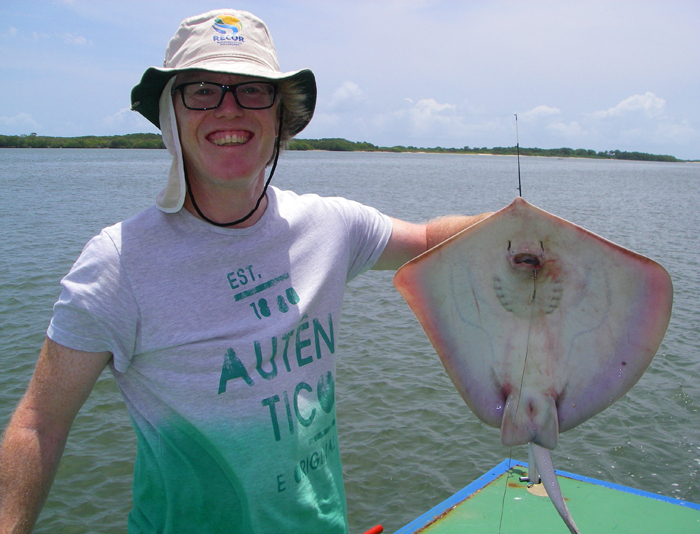 Sting ray - not a monster but a nice one on the spinning rod. 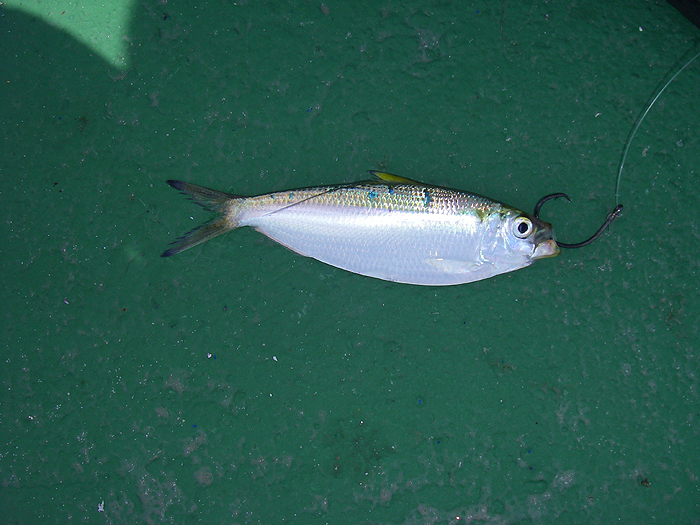 Ladyfish, my first fish from the pontoon. 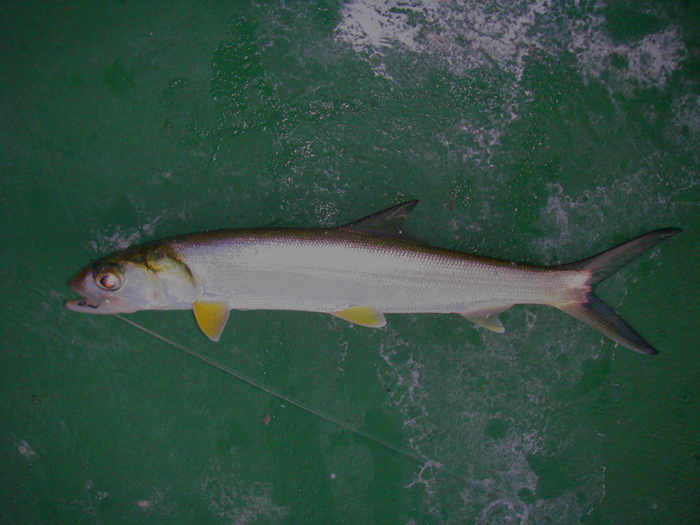 Fat snook - not a very good picture but I was well pleased with this one. Paulo displays my moray before it was returned. 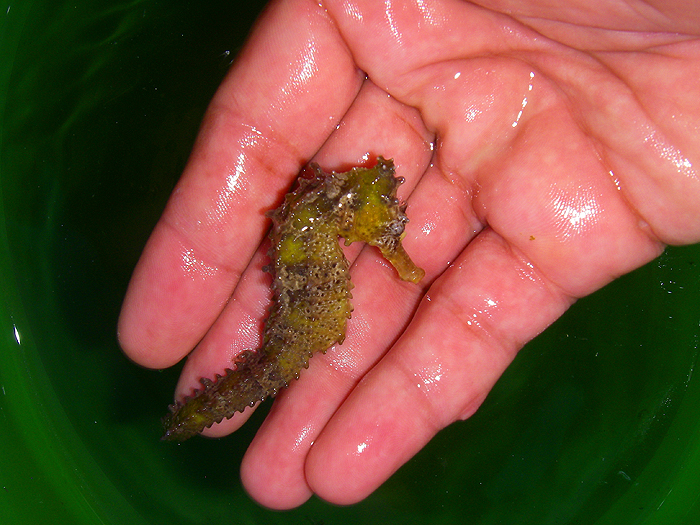 A seahorse caught in the bait net.